Emily Mihal is a fashion designer from the San Francisco Bay Area. After a less than desirable experience with a previous developer, Emily was a bit skeptical about moving forward with her online business. We were fortunate to meet through local photographer Chad Riley, who had taken Emily's product photos. 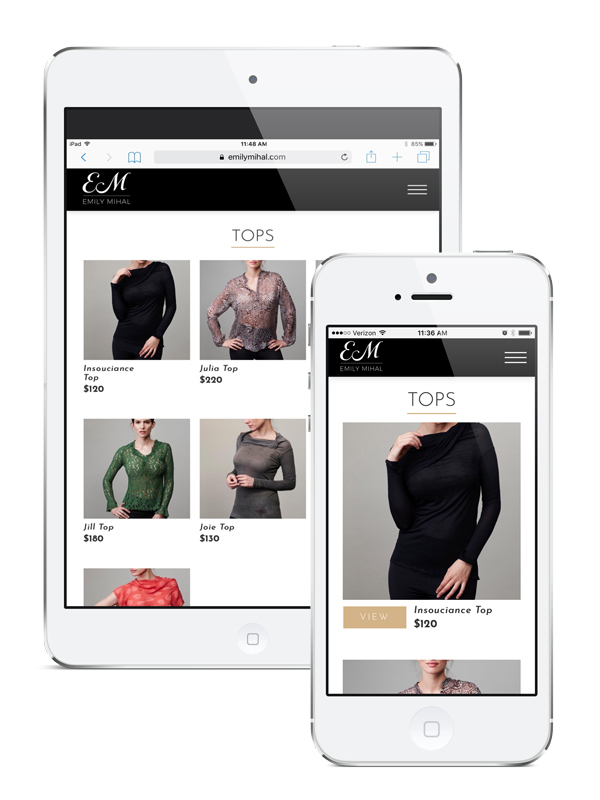 The site was developed around the classy yet comfortable feel of Emily Mihal's designs.